Regisseur N/A's film The Chronicles of Narnia: The Silver Chair(Avontuur & Fantasie) is geproduceerd door TriStar Pictures & C.S. Lewis Company en komt uit op 31-12-2019. 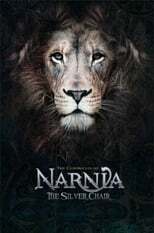 Waar kun je The Chronicles of Narnia: The Silver Chair streamen?